Richard Howell's scoring output has dipped in Talk 'n Text's previous games. Good thing Jason Castro has been there to save the day for the team. 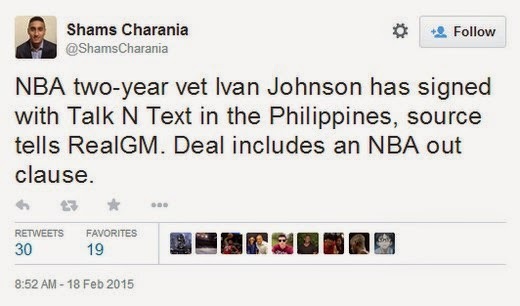 That's probably the reason why the team officials decided to bring in the 2-year NBA vet who played for the Atlanta Hawks Ivan "The Terrible" Johnson to replace the struggling import. 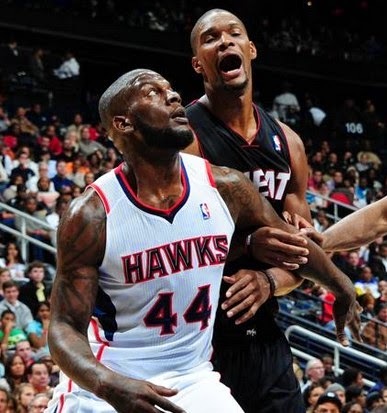 What can we expect from the 6'6-6'7 Ivan Johnson? He plays like the current hawks baller Demarre Carroll. He is also hardworking, he can shoot from the outside, he can rebound the ball, and he can play defense. Overall, he's a complete player who can do what his coach wants him to do on the basketball court. But just like any other baller, there are also some skeletons in his closet. He has a bad reputation in the Korean League wherein he got terribly mad at an official. He ended up being banned for life in the league.